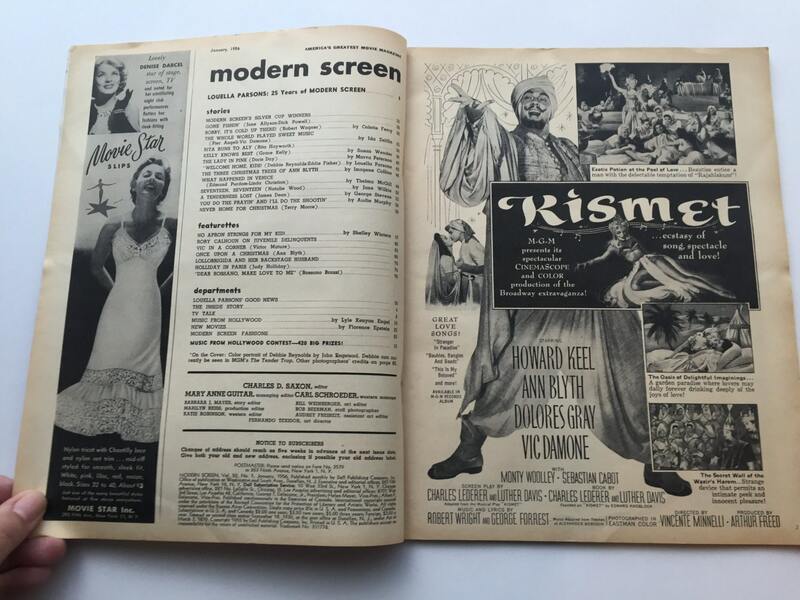 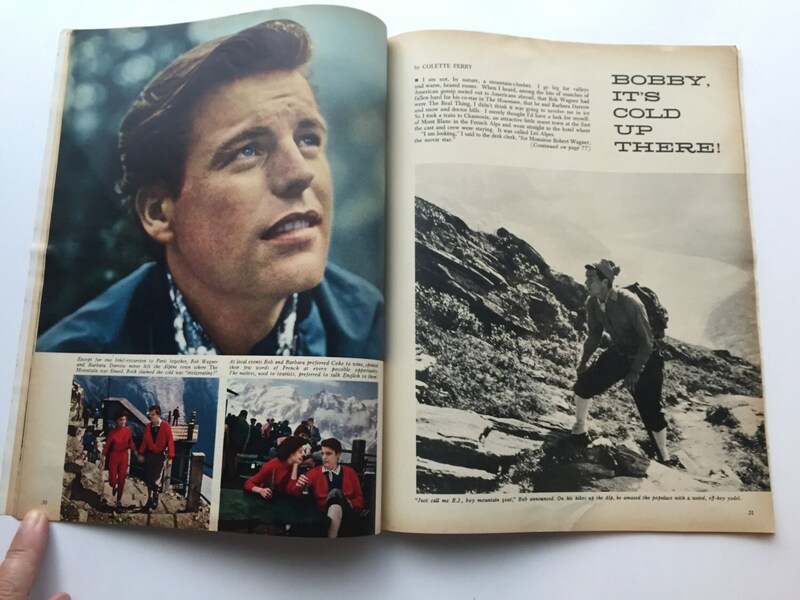 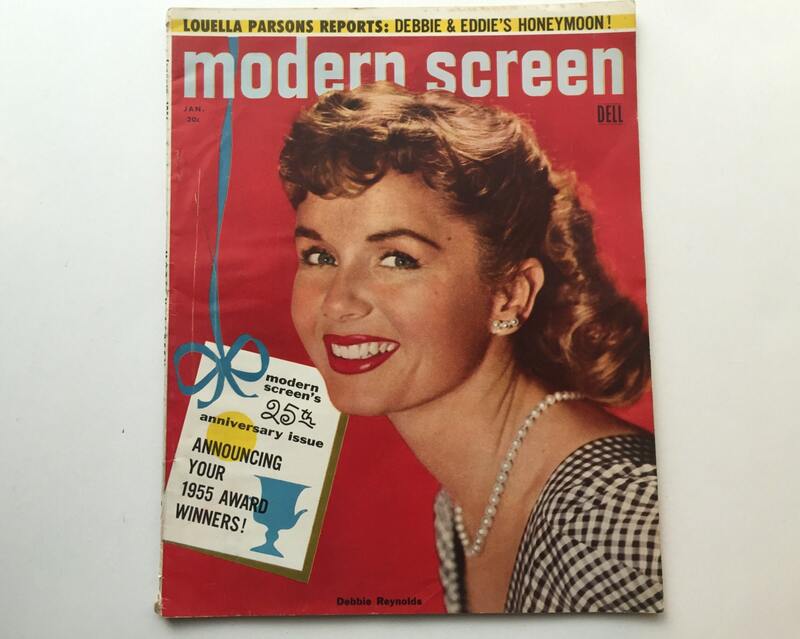 25th Anniversary Copy of Modern Screen magazine from June 1956 featuring Debbie Reynolds on the cover, and inside there is a tribute to recently deceased James Dean, plus articles on Robert Wagner and Grace Kelly. 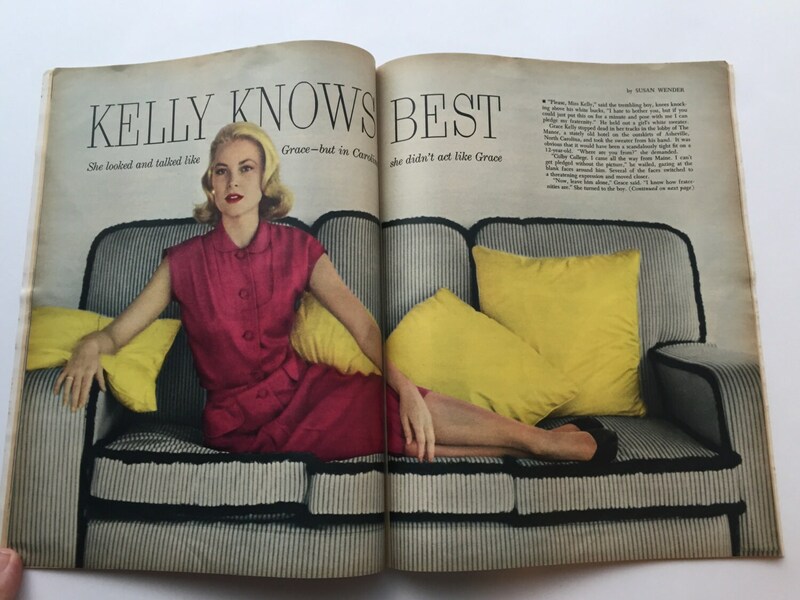 Plenty of fun articles, great ads, and delicious gossip. 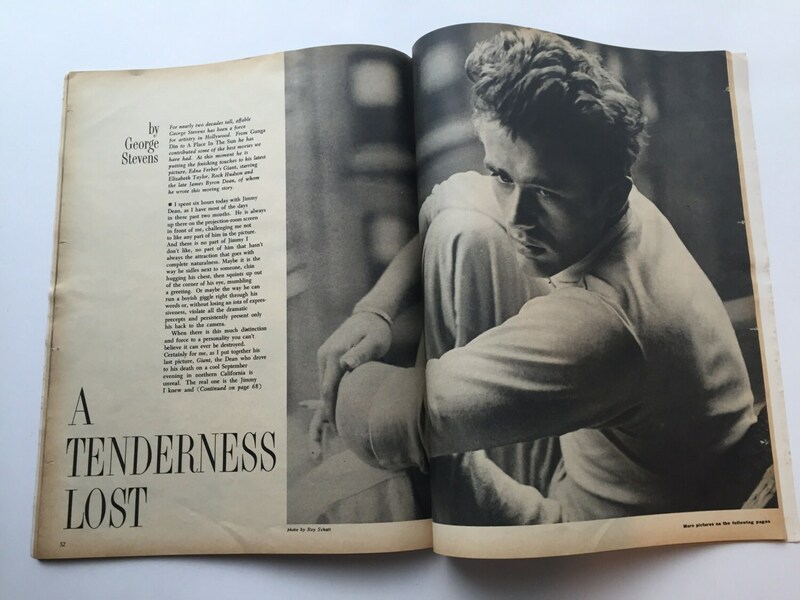 CONDITION: Very good with some wear on the top and bottom of the spine, and some tiny tears on the edges of a few pages near the front.